A good examination is just the beginning. Often, we need to investigate even deeper to find the cause of an illness or injury. 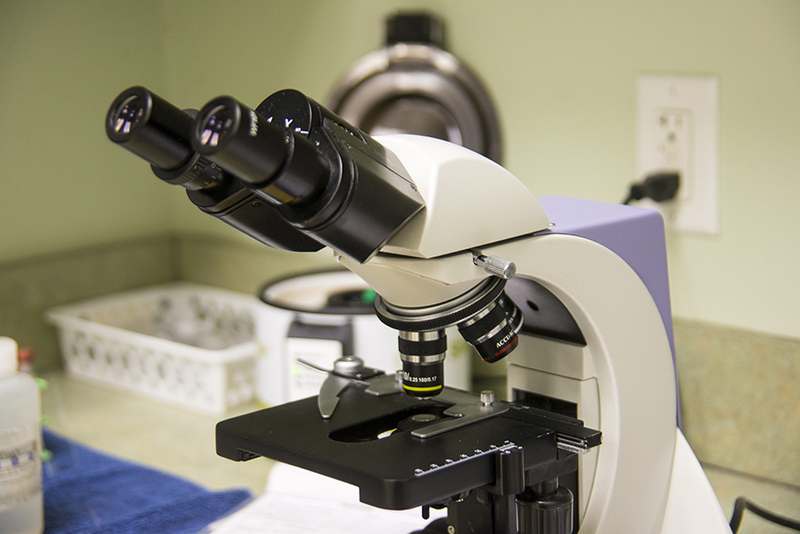 That is where our in-house lab comes in, giving us a variety of diagnostic tests to help us diagnose your pet. Because of this convenience, we can complete many of our tests in the span of a regular office visit. Our laboratory includes an ultrasound machine and a digital x-ray machine that provides clear x-rays instantly on our computer screens without the time it once took for development. We also have state-of-the-art monitoring systems that let us monitor the organs and systems of hospitalized pets for any changes or complications. Much of our diagnostic blood work is run in-house as well, allowing our doctors to check your pet’s blood for problems in an effort to catch and treat disease as soon as possible. It’s all part of our mission to get quality care to your pet quickly and efficiently.